Seek! Kill! 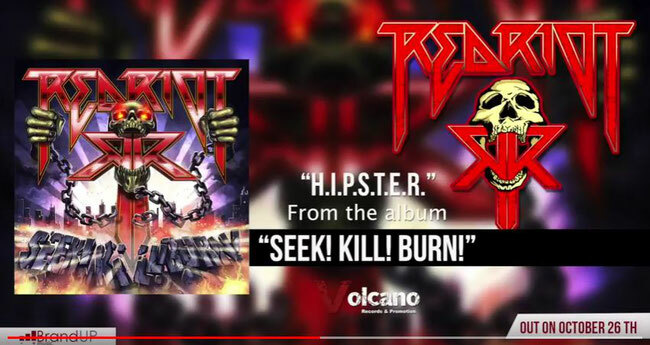 Burn!, the first album of the Red Riot, will be released on October 26th worldwide via Volcano Records, but from today on the Youtube channel of their label, the song H.I.P.S.T.E.R. that anticipates the new album. ReD RioT is a young band that has already talked about itself not only in Italy, with an ep published a few years ago and a large ranks made of clubs and underground concerts throughout the boot and beyond. In fact, the group that unites in its own sound thrash and groove metal with the boldness of the street and the sleaze rock, has already been the protagonist of a long European tour and promises with this new chapter the leap in quality and the turning point of maturity that many fans expect. tagPlaceholderTag: New Album, official audio, Volcano Records, YouTube, Red Riot, H.I.P.S.T.E.R., the first song, Seek! Kill! Burn!